If you look at the schedule closely sometimes you'll see Hawks games scheduled on a Friday night with a worthy opponent. That means unless you play on Thursday night and your the Hawks next opponent you may land a segment on TNT Thursday. 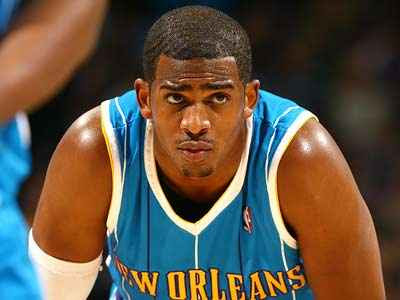 The Hornets are in Atlanta Friday so that mean's the leagues current steals leader at 2.74 per game, Chris Paul, will be in studio with the TNT crew. Will CP3 comes back at Chuck in a good lighthearted way or will Chuck kinda push him. Kenny will not be in but McHale may come with something. This is a night Greg Anthony should be in the house. It'll be fun to see anyway.